While the Razer Blade 14 and Razer Blade Pro are not officially available in Malaysia at the time being, local game shop Gamer’s Hideout apparently have taken the initiative to import them into the country. At this moment, we have no knowledge whether this is an official arrangement with Razer or otherwise but nevertheless, the shop have pointed out that servicing and warranty for these devices will be done by Razer Singapore. 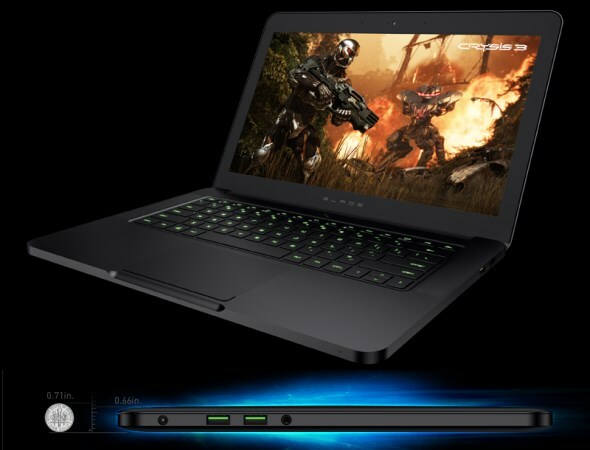 According to GH’s Facebook page, they will be bringing in the 256GB version of both laptops with a price tag of RM 6,999 for Razer Blade 14 and RM 8,999 for Razer Blade Pro. Somehow, these pricing are actually much lower than Razer Singapore’s own web store which are listed at RM 7,271 (SGD 2,799) and RM 9,347 (SGD 3,599) respectively. They also stated that customers will be able to receive their laptops within 14 working days after putting their orders. If you are interested to know more, do contact GH directly at facebook.com/GamersHideout.